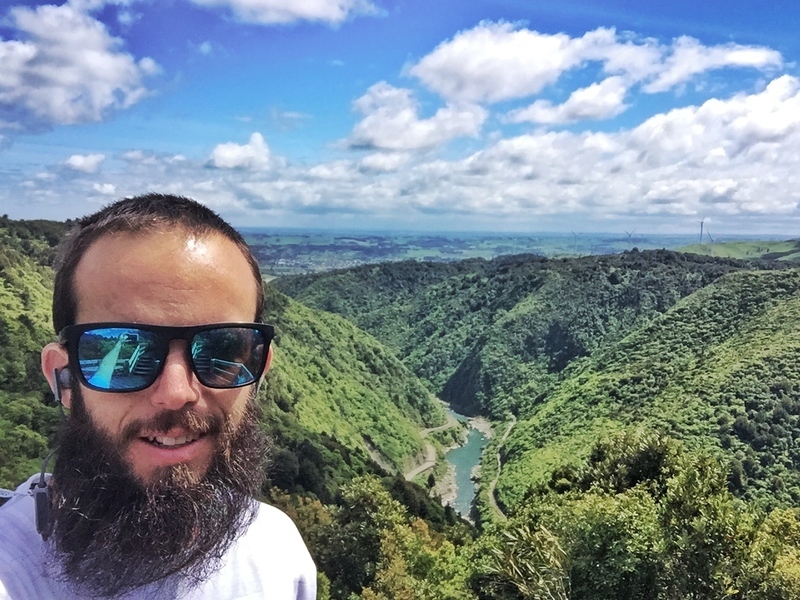 I finally completed the Manawatu Gorge Walk! Having come to Palmerston North (near the trailhead) for most Christmases as a kid I’d never done the walk. 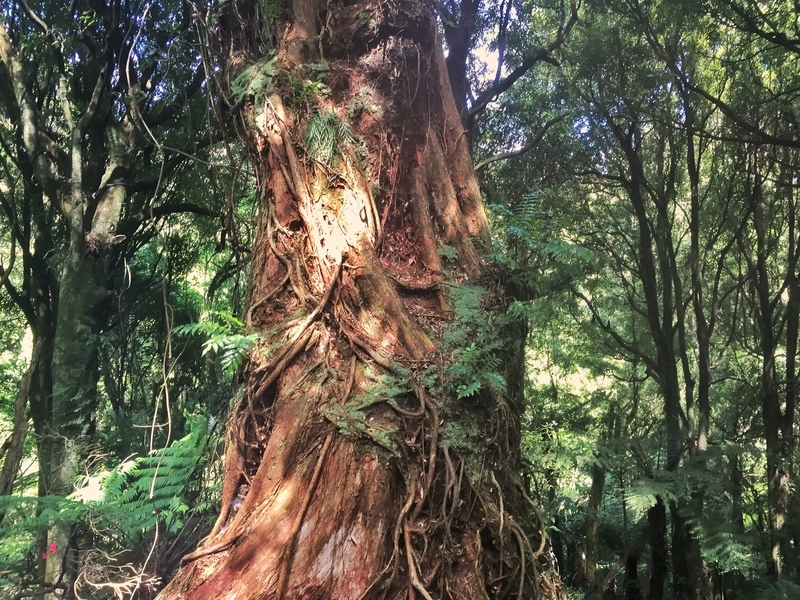 The Manawatu Gorge Track is a 10.1km end to end hike under a canopy of trees, with various lookouts along the way. 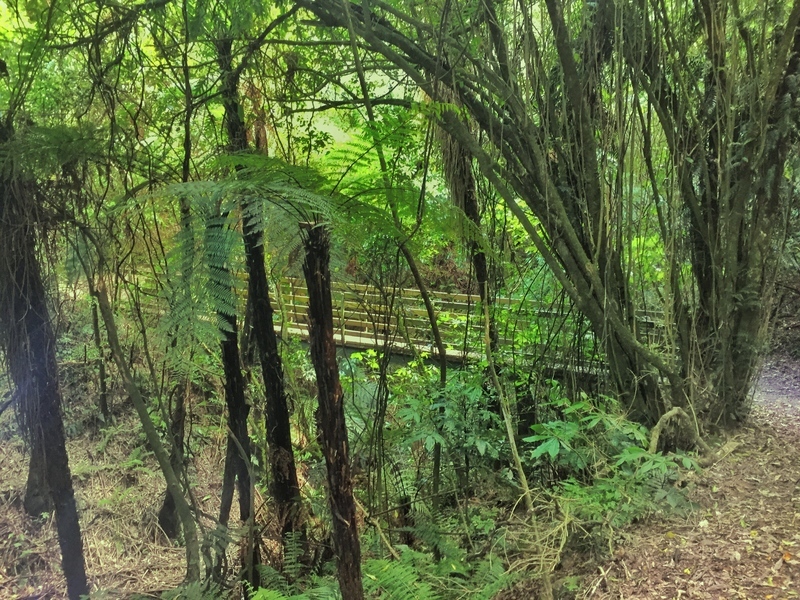 At 10.1km one way, the gorge walk is a distance everyone can enjoy walking the track without dieing. For most people, the 20km return trip should be okay as long as you have some kind of fitness. The only issue is, it’s an end-to-end hike rather than a loop track and walking back on a trail you’ve completed when there’s no epic summit involved is a drag. The regular get around to this is to use the two-car system or key handoff as described in C and D in this post. I’ll chat about this more in the FAQ. I was lucky my Aunty is awesome and dropped me off at the Woodville end of the gorge (35-minutes from Palmerston North). I started hiking at about 10.20am and was stoked to see the track was easy to follow and well signposted. My thoughts on this soon changed when I hit the stairs with a lethargic feeling. The stairs near the Woodville entrance are well constructed and it’s not like there are even many of them. It was more that they were at the start of the track which caught me off guard. 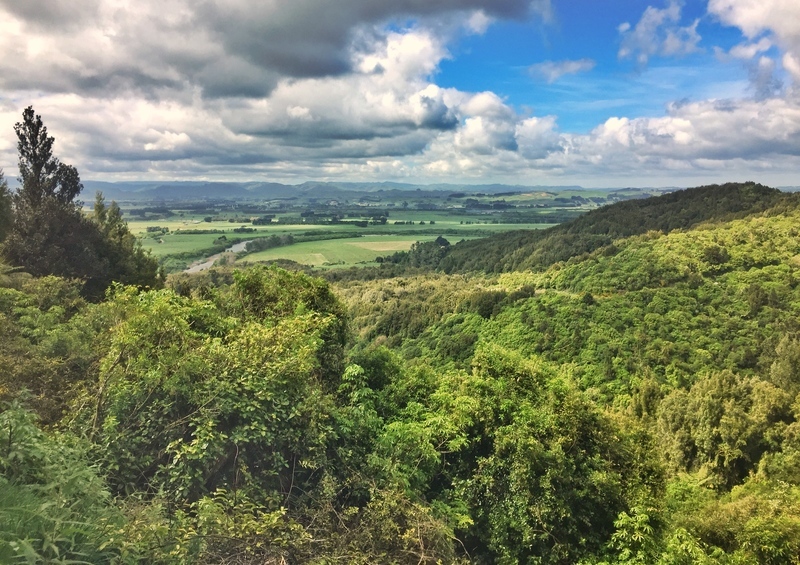 You can read a legend about the formation of Manawatu River on this Instagram photo. 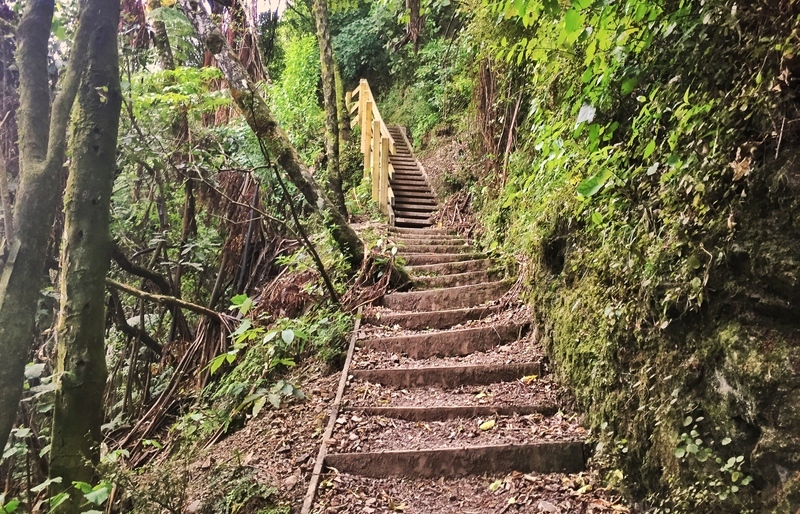 Once you get up the stairs, there are a few switchbacks to where you reach the top of the gorge. From here on out there are minor undulations as you follow the river from above (you don’t see the river apart from at a couple of the lookouts). 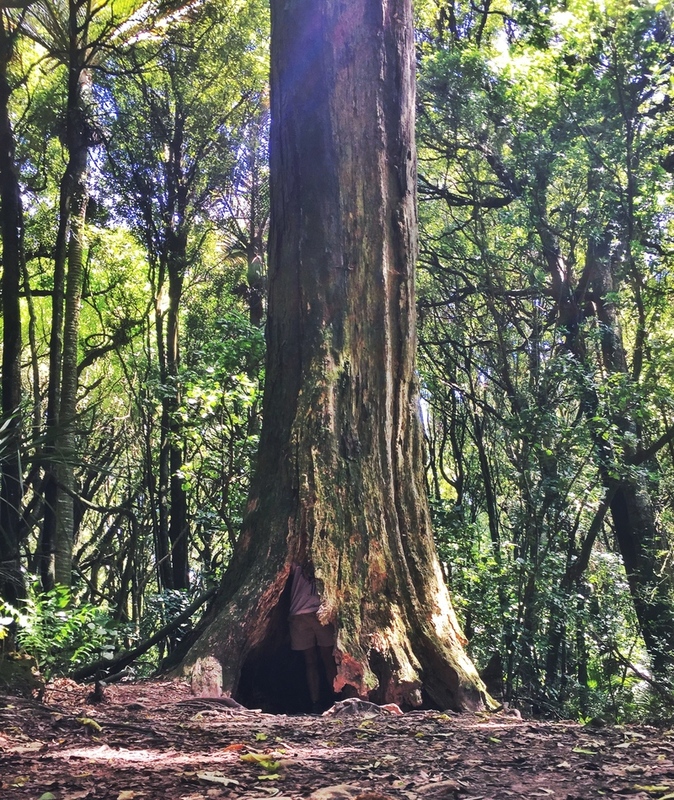 The variety of nature in the gorge is impressive, so do try and take note of the variety, even if you’re not a tree-hugger. Along the way you’ll see signposts that take you off the main track for a short distance to lookouts and views. 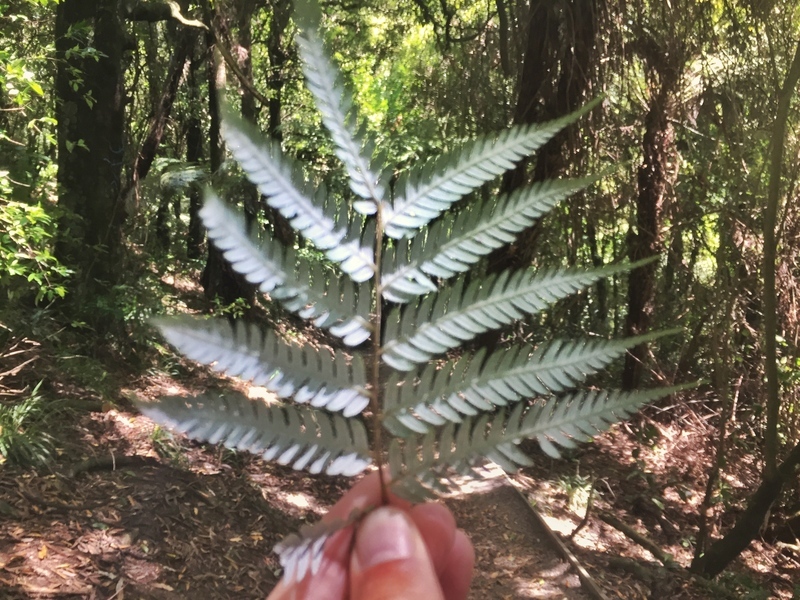 I’d recommend taking most of these as your under the forest canopy for the entire walk which while good looking, gets monotonous (focus on the details of everything!). The views from all the lookouts are varied and most of them are less than 200 metres each way so aren’t adding much on to your trip. 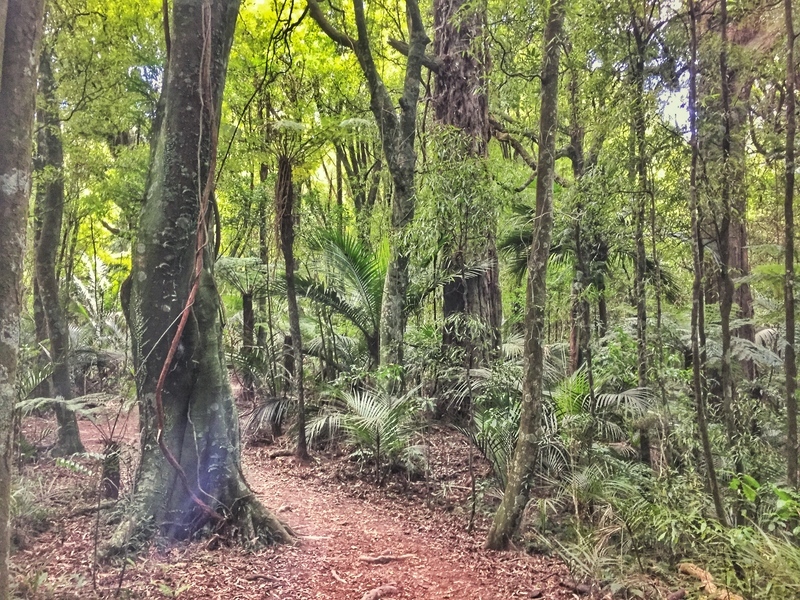 Once you reach the Te Apiti monument (impossible to miss) you link up with the Tawa Loop Track. 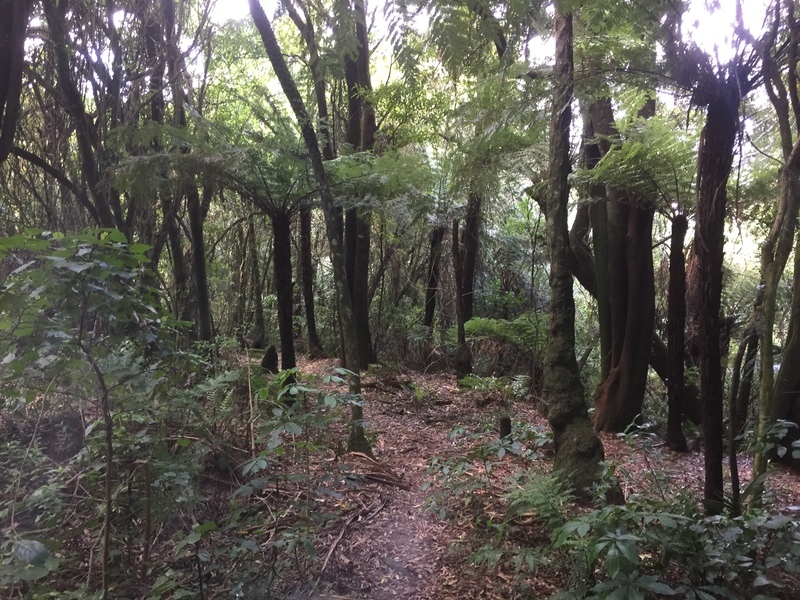 The most common route to take on the Tawa Loop Track (and finish the gorge track) is to go straight towards the White Horse Rapids Lookout. Tom’s Lookout is nice in the other direction, but not exactly jaw-dropping. From here on out, you’ll reach the carpark in 20-40 minutes as you’re going downhill from here on out. 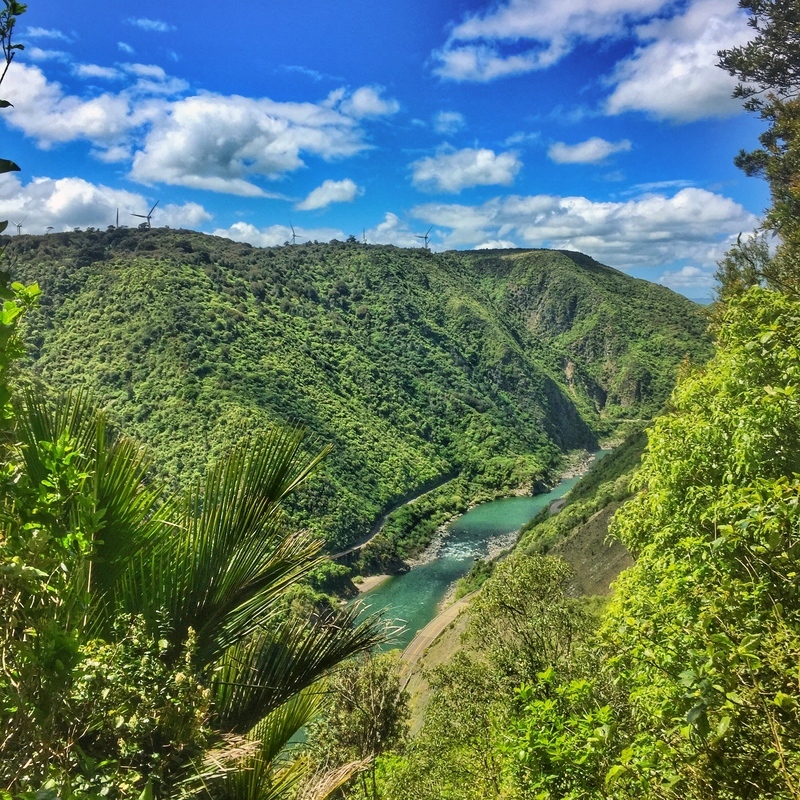 The Tawa Loop Track starts at the Ashurt end of the Manawatu Gorge. 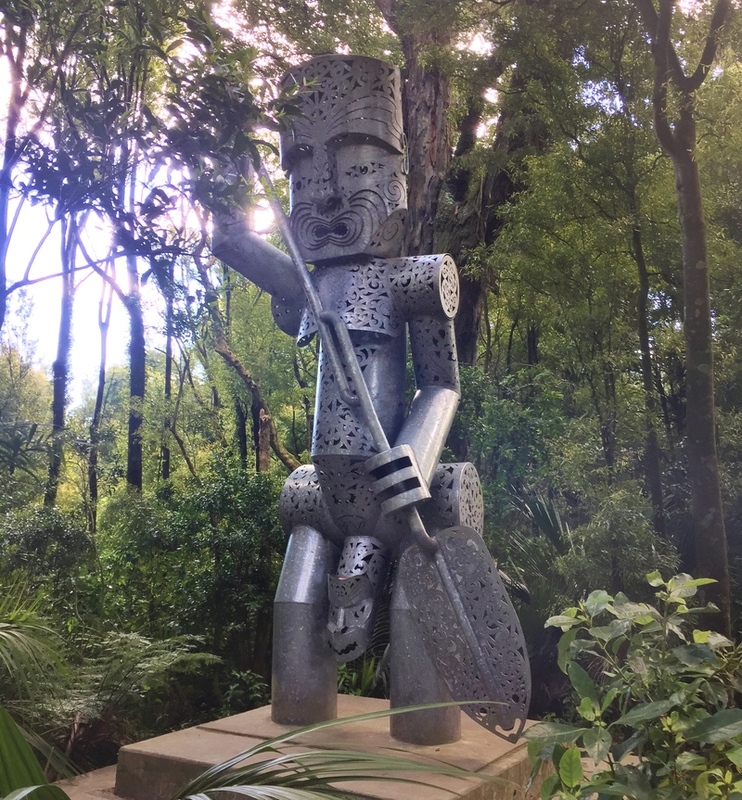 It’s approximately a 4km return trip with the sites you’ll see including Tom’s Lookout, the Te Apiti monument, and the White Horse Rapids Lookout. 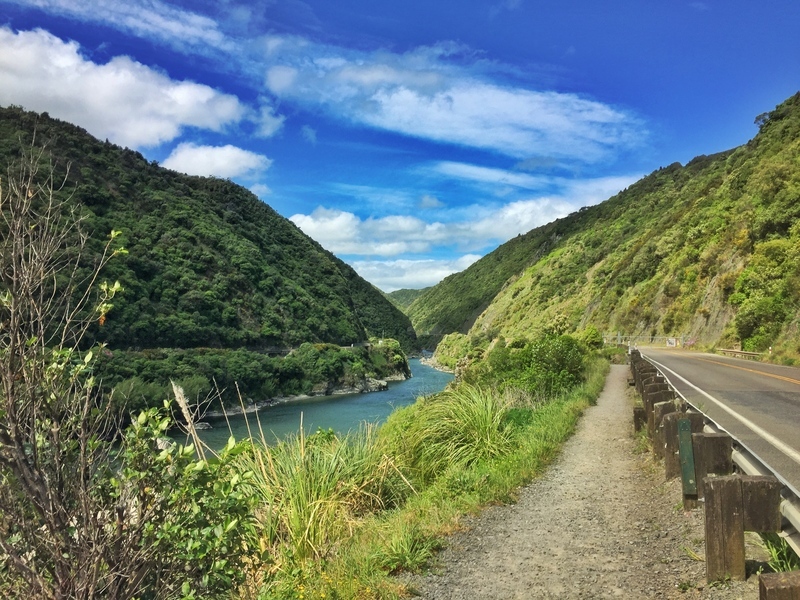 tarting from the carpark, you start the track like you would for the Manawatu Gorge track. You follow track by the road which takes you under the road up to where the loop takes off in two directions (signposted). 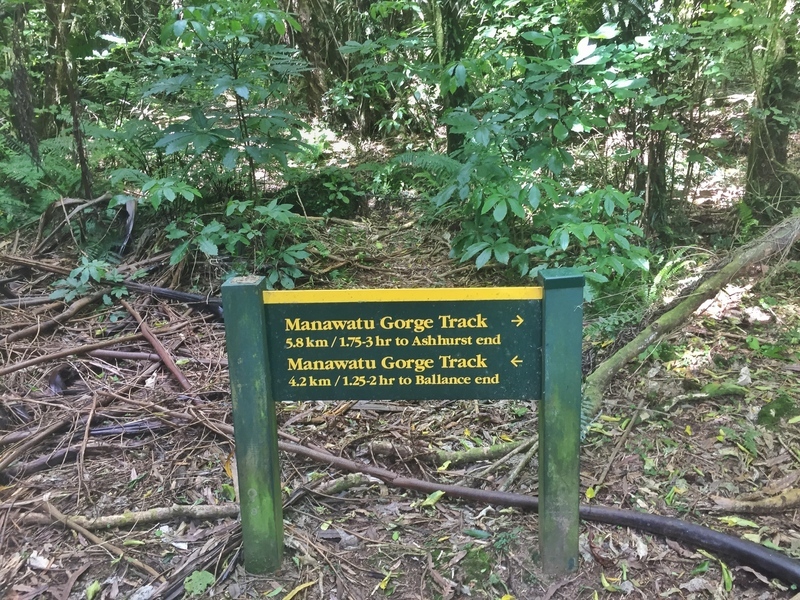 The most common way for people to complete the Tawa Loop Track is anti-clockwise, turning right where the track splits off. The track isn’t grueling, but there is a consistent incline that can get steep in spots to keep you honest. 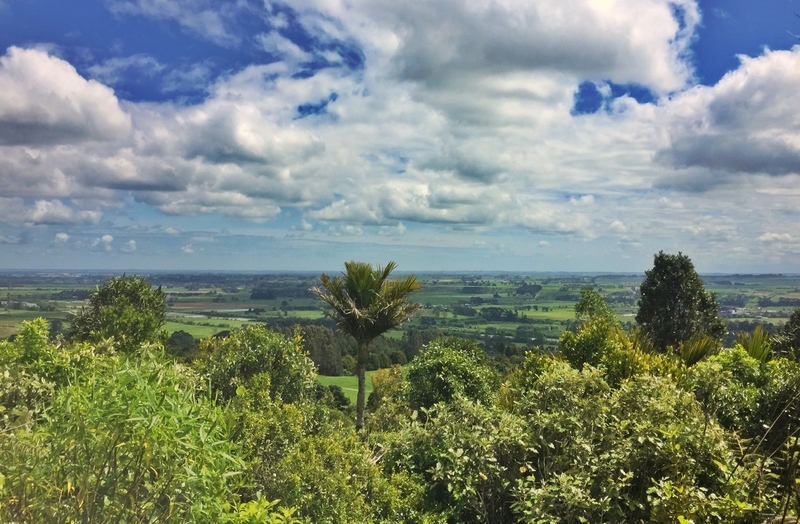 You’ll find Tom’s Lookout, which is on the trail itself, looking out over the plains around about 3/4 of the way to Te Apiti statue which is where the loop splits off again (about the halfway mark). 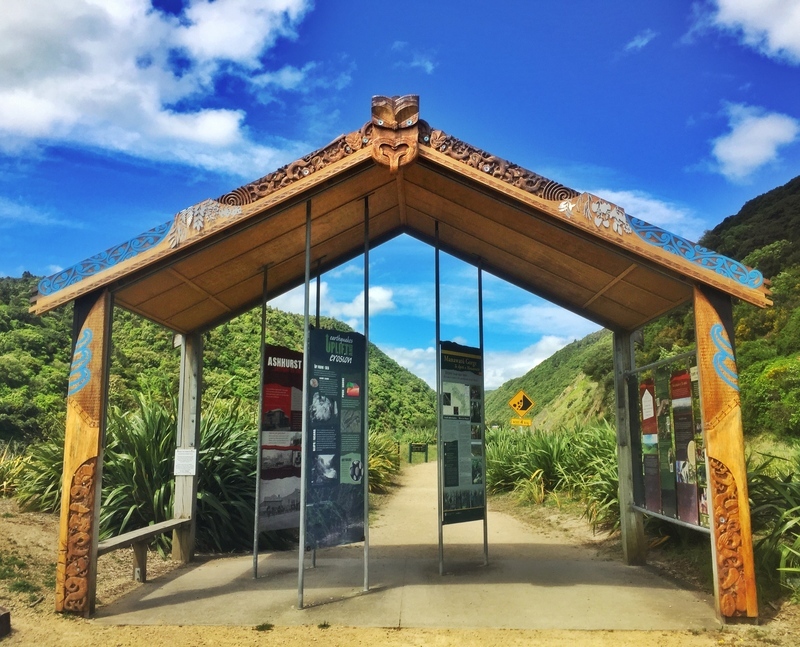 You can turn right here to continue along the Manawatu Gorge walk, or go left to complete the Tawa Lookout walk. 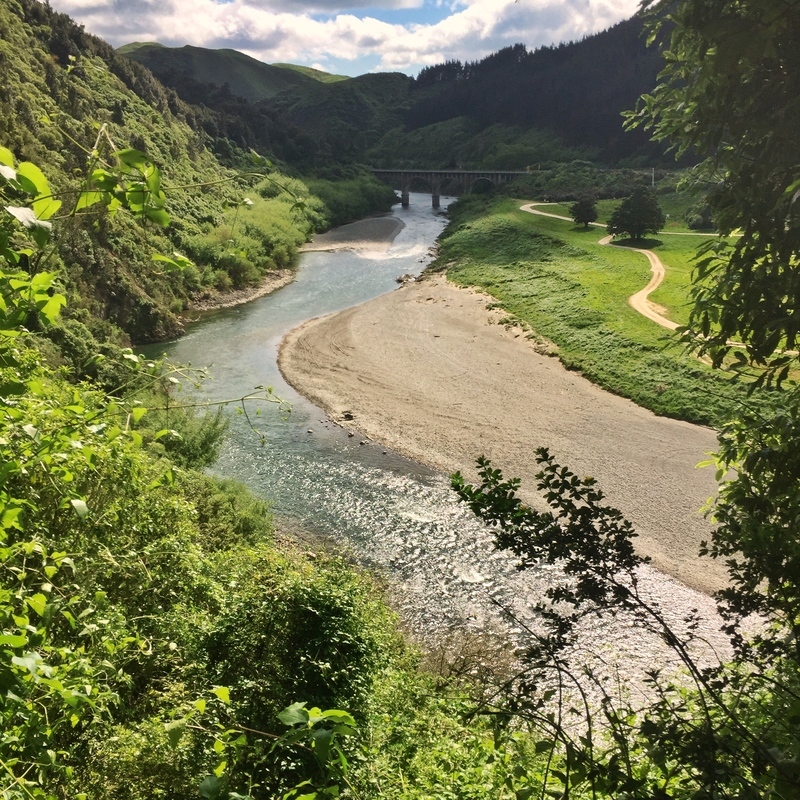 From here on out you’ll find the White Horse Rapids about 500 metres from the Te Apiti state as you head back down the hill to the starting point. The signs say the track takes 1-2 hours to complete which is about right. 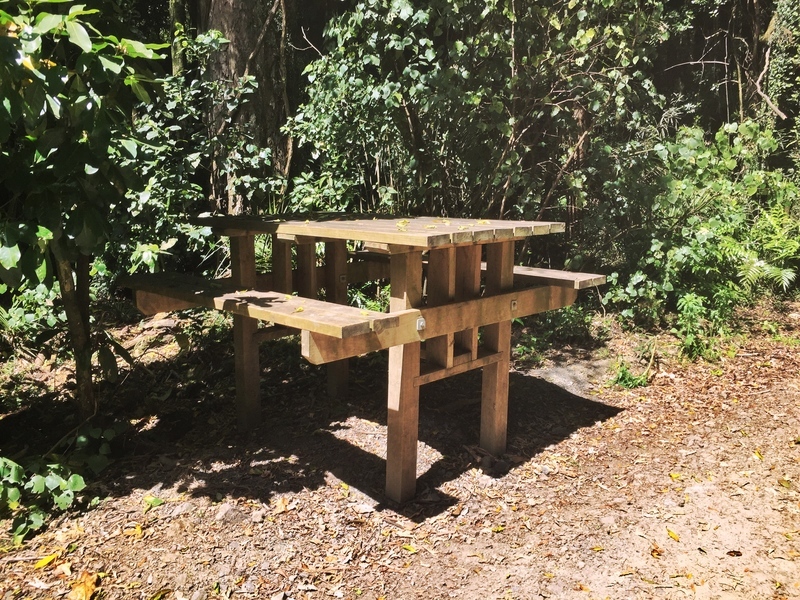 You can do it faster, assuming you don’t take a break at the picnic tables near the statue. 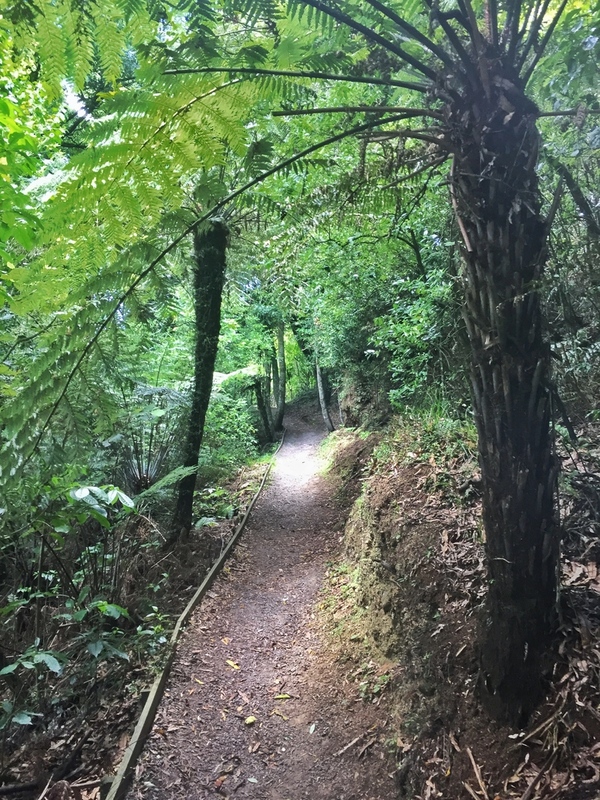 Manawatu Gorge Walk FAQ etc. 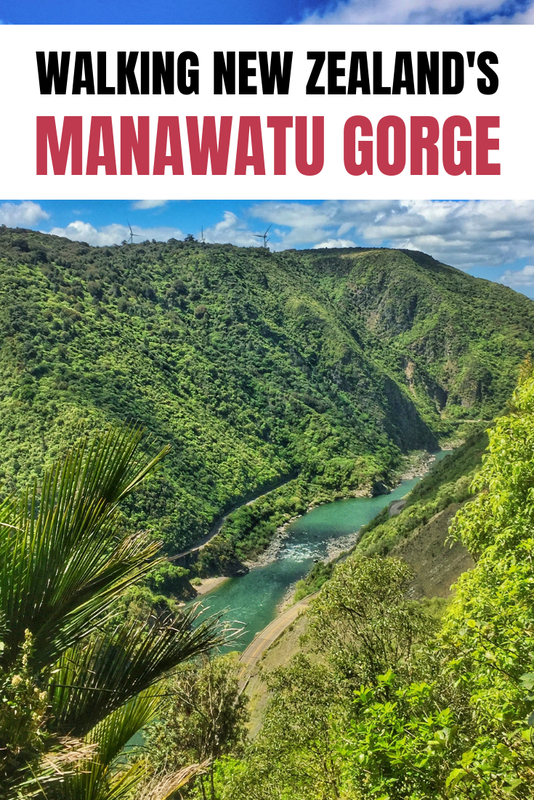 How do I get to the Manawatu Gorge trailheads? Driving: As mentioned earlier, you’ll need two cars for this, unless you don’t mind completing the walk in both directions. The key swap method is easy enough. I wouldn’t say one direction is harder to walk in the other, so flip a coin for who drives to what end to start walking. If you’re doing the traditional two-car method, drop the car off at Ashurst first before all starting at the Woodville end. Shuttles: You could also consider calling Palmerston North City i-SITE on 0800 626 292 to ask about local shuttle options. Public Transport: There are also public buses that run between Palmerston North & Ashurst from Monday to Friday which cost $2 each way which could be another option. 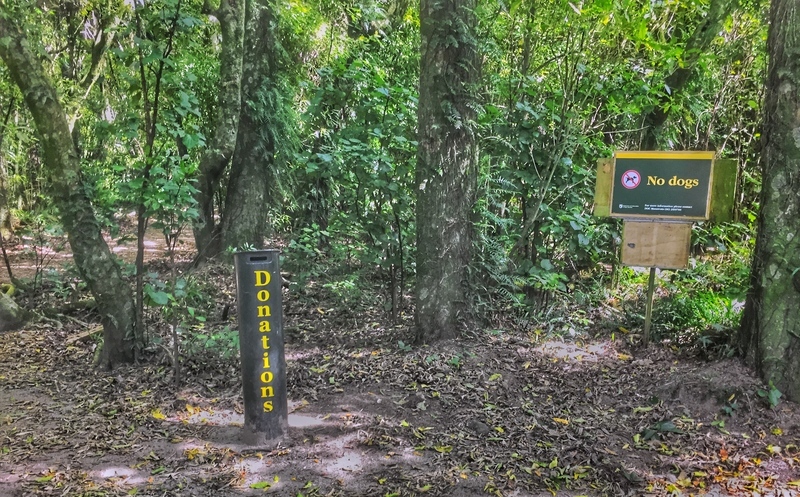 This will involve walking a couple of extra kilometres to the carpark from Ashurst to get started and would mean you need to do the return walk. They aren’t very frequent so you’d need to be confident with your walking times. Is there a better end to start at? Not really, both ends start off with an incline to the top of the gorge before proceeding along the top and dropping back down at the end. I recommend the Ashurst end as the carpark is bigger and if you decide to cut the walk short/complete the Tawa Loop it’s a shorter drive back to Palmerston.. So for practical reasons, start at the Ashurst end. Are dogs &/or bikes allowed on the track? 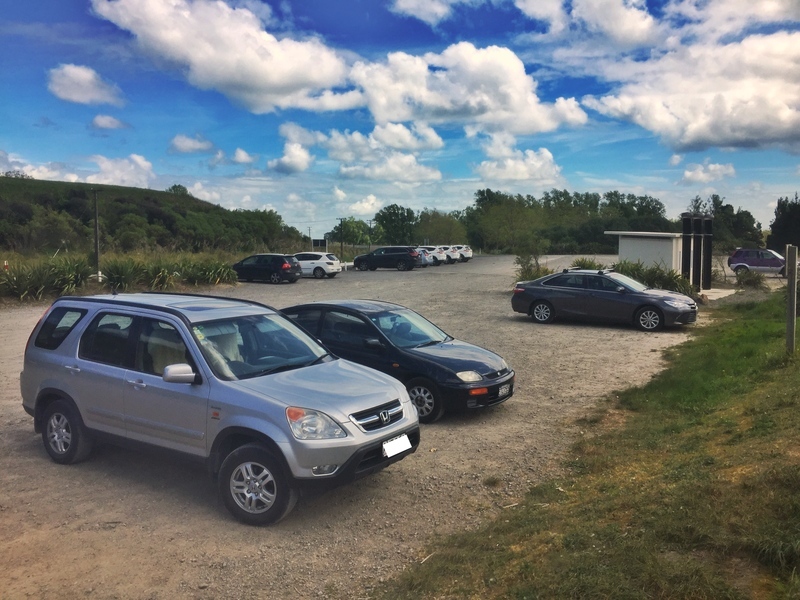 No dogs or mountain bikes or dogs are allowed in the gorge. 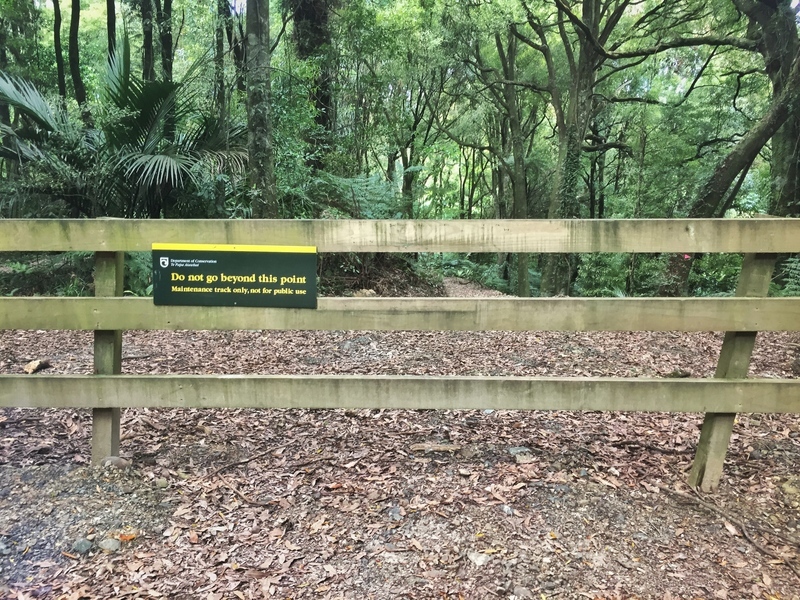 They clearly signpost this at both trail entrances. You don’t need a map. The signs along the way are more than enough, and if need be, they’re all detailed on Maps.me. I would suggest you plan to spend 1.5 hours from the time you reach the trailhead, to the time you exit the track. Add transit time as necessary. 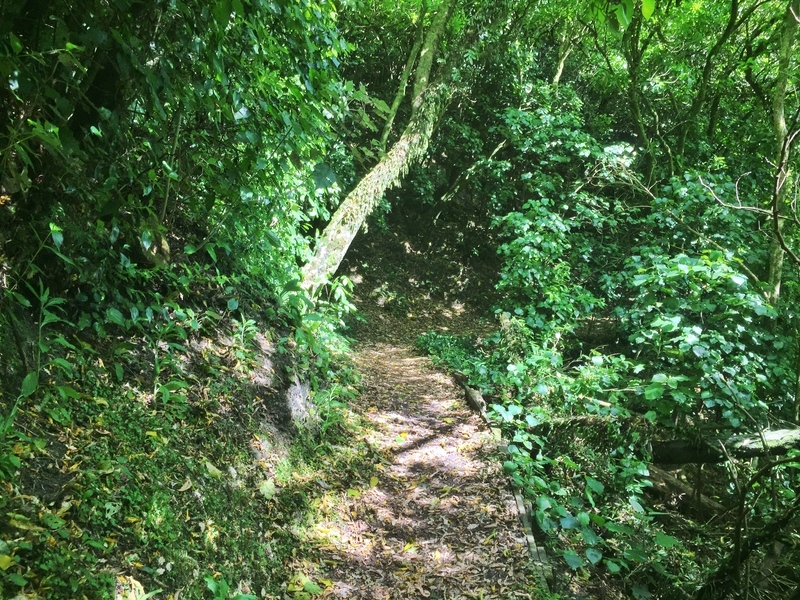 If there has been lots of rain in the area, there could be some slippery areas, but you aren’t walking along cliff edges or anything so should be fine. 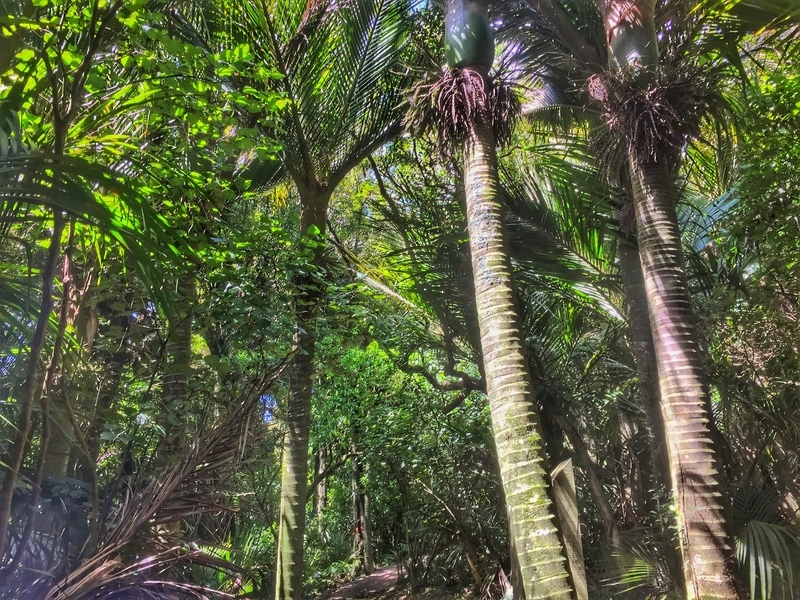 I can’t think of a ‘best’ time to walk here as you’re under the canopy of the trees throughout the walk. If you made me choose, I’d go with an early-mid morning start. 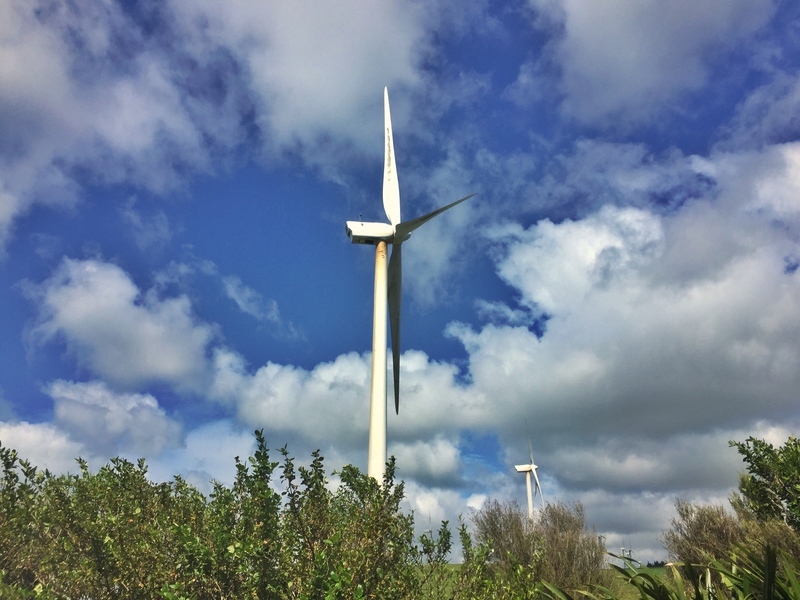 If you’re planning to spend a couple of days in Palmerston North or nearby areas and have a good plan with transport, go for it. Otherwise, it can be a bit of pain and while the views are nice, it’s not an OMG activity considering the transport ordeals. In saying that, the reviews for this are great: 4.7/5 on Google Maps, and 4.5/5 on TripAdvisor.